The U.S. District Court, District of Delaware has awarded TASER International $2.38 million in damages from patent infringements by Tampa, FL manufacturer Karbon Arms, LLC. Karbon Arms was also permanently restrained and enjoined from making, using, or selling any MPID or MPID-C, or any “substantial components” of their conducted electrical weapons thereof. TASER International filed its civil action against Karbon Arms in May of 2011. 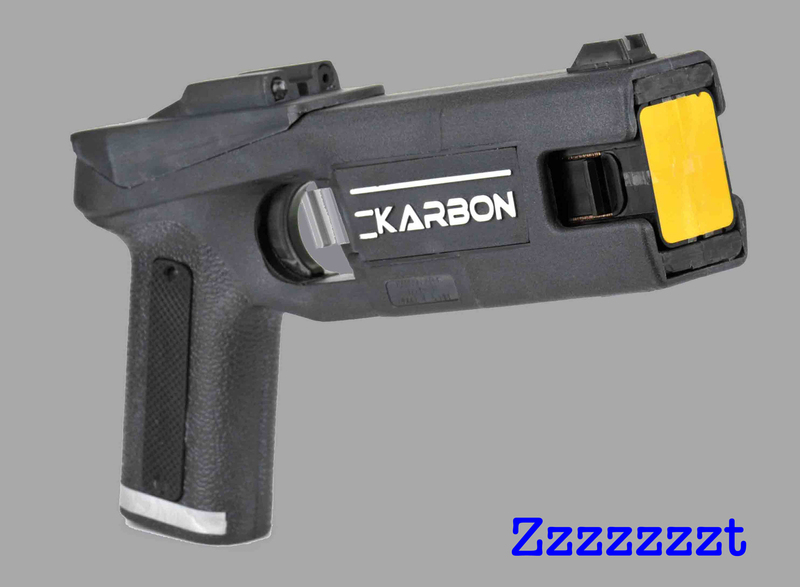 TASER claimed that Karbon Arms infringed on two (later three) patents held by TASER. In December of 2013, District Court Judge Richard Andrews cleared the way for a trial by ruling that Karbon Arms had infringed on TASER’s U.S. Patent 7,800,885. A trial date was set for January 13, 2014. On January 10, the plaintiff and respondent entered a joint stipulation for final judgment with the Court and avoided trial. As of this week, Karbon Arms’ website is gone. Previously, their site had a Hawaiian shirt and a message that said, “Future home of something quite cool.” Their Facebook page has a post from January 15 that stated, “Karbon Arms has closed for business 🙁 ” Emphasis on the frowny emoticon. Hopefully, those commanders will begin earnest efforts to replace the Karbon Arms MPIDs with another maker’s device. CEW’s have been an important officer safety tool, especially in the last decade. They exact a small price for helping reduce injuries and fatalities to both citizens and officers. This entry was posted in Florida Companies, Taser and tagged Karbon Arms, Police TASER, TASER International. Bookmark the permalink. Have you or anybody else on here looked into the latest activity within the law enforcement community regarding the only known competitor to Taser – PhaZZer? I examined a Phazzer at SHOT Show a few years ago. I did not have a favorable opinion about the quality of the weapon. I do not know of any agencies in Florida who have even considered them, much less use them. A couple of departments around my neck of the woods used Karbon Arms products, but they have been forced to find alternatives at this point.